The following books are examples of what to do when confronted with a problem. Both texts demonstrate the power of teamwork and sharing our voice with love and joy. DESCRIPTION OF THE BOOK: The Levines are finally getting a pet–a furry one that is. They are excited about adopting a kitty they name Jelly, but they don’t get very far in the process when Ben starts sneezing. Oh no, he’s allergic! Lola is devastated and sets out to find Jelly a good home. Luckily, Lola is rewarded with a very happy (and still furry) ending. With Lola’s trademark humor, we can expect a few mishaps, many funny moments, and a cute new pet all wrapped in one adorable book. MY TWO CENTS: This realistic fiction chapter book is the definition of a bicultural family that loves to spend time with each other and solve everyday problems! Lola Levine has a younger brother named Ben. She is your typical older sister who is always looking out for her brother. Lola and Ben are adopting a kitten! But before they can get a cat, they have to do some research on what a cat needs and even start building a cat play structure, or as the family calls it “a cat castle”. Once their new cat, Jelly, is home, Ben and Lola discover that Ben is allergic to cats! The ending of this realistic and humorous book is a true reflection of how a family solves a problem and works together for one goal. An amazing series to add to your diverse classroom library! Monica Brown created an excellent bicultural character when she started the Lola Levine series. The sibling relationship between Lola and Ben is so apparent and loving, as well as the other relationships within the family. Lola Levine is a great role model for all as she navigates her childhood throughout this great series! TEACHING TIPS: Teachers can use this early chapter book or components of it to model narrative writing, especially how to focus on small moments or details. Teachers can also use this book to focus on character analysis of either Lola or Ben as well as teaching story elements and making connections. 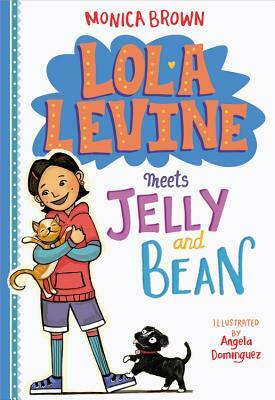 WHERE TO GET IT: To find Lola Levine Meets Jelly and Bean, check your local public library, your local bookstore, or IndieBound. Also, check out Goodreads, Amazon, and Barnes & Noble. ABOUT THE ILLUSTRATOR: Angela Dominguez was born in Mexico City, grew up in the great state of Texas, and lived in San Francisco. 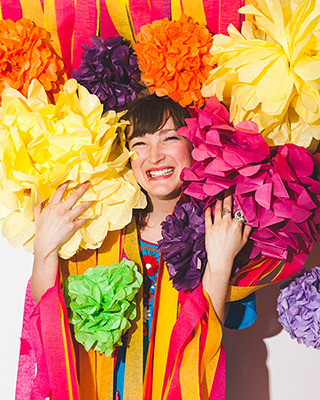 She’s the author and illustrator of picture books such as Let’s Go, Hugo! ; Santiago Stays; Knit Together, and Maria Had a Little Llama, which was an American Library Association Pura Pelpré Honor Book for Illustration. She now writes and creates in her studio in Brooklyn, New York. THE ROOSTER WOULD NOT BE QUIET! Carmen Deedy’s masterfully crafted allegory and Eugene Yelchin’s bright, whimsical mixed-media paintings celebrate the spirit of freedom — and the courage of those who are born to sing at any cost. MY TWO CENTS: There is a town, La Paz, that loves to sing and make all types of noise! However, there is a new mayor in town and with new leaders come new rules. The new mayor, Don Pepe, establishes a law of absolutely no singing or noise EVER! Well, a few days later, there is a rooster who moves into town and what roosters do best is sing in the morning. The mayor is shocked that someone would disobey the new noise ordinance and does everything in his power to enforce his law. Little to the mayor’s knowledge, the town sides with the Rooster and dethrones the mayor. The little town is back to what it was meant to be- joyful, noisy, and proud of it! 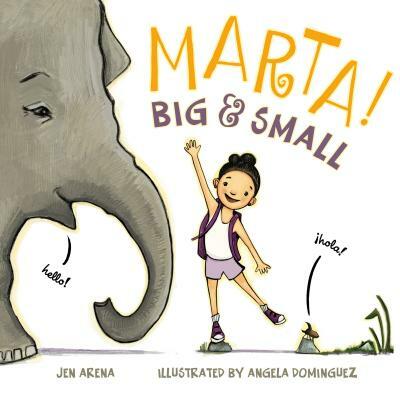 A hilarious bilingual story with a strong message for all to hear! The illustrations are vivid and significantly engage the reader as they are pulled into the plot of what is going to happen next. 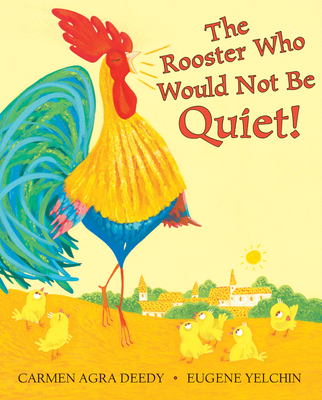 TEACHING TIPS: Teachers can use this text to teach predicting, character analysis of the townspeople, the Rooster, and/or Don Pepe, as well as teaching readers about the progression of a problem and solution. Teachers can highlight the theme of what it means to have a voice and stand up for your community. 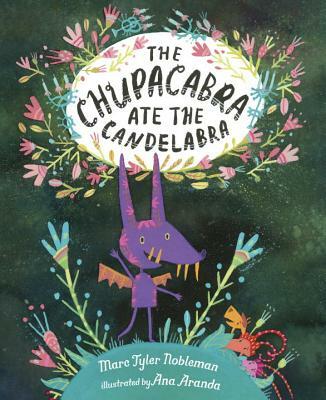 Teachers can also use this book as a writing mentor text to model onomatopoeia, transition words, and dialogue. WHERE TO GET IT: To find The Rooster Would Not Be Quiet, check your local public library, your local bookstore, or IndieBound. Also, check out Goodreads, Amazon, and Barnes & Noble. ABOUT THE AUTHOR: Carmen Agra Deedy is an internationally known author of children’s literature, a storyteller and radio contributor. Born in Havana, Cuba, she immigrated to the United States with her family in 1963 after the Cuban Revolution. Deedy grew up in Decatur, Georgia and currently lives in Atlanta and has three daughters. She has also written books like 14 Cows in America and Martina The Beautiful Cockroach. By cindylrodriguez  Posted in Bilingual Books, Children's Lit, Illustration, Latinx Literature, Picture Books	 Tagged Angela Dominguez, bicultural, bilingual picture books, book review, Carmen Agra Deedy, Eugene Yelchin, Lola Levine Meets Jelly and Bean, Monica Brown, The Rooster Would Not Be Quiet! DESCRIPTION FROM THE BOOK JACKET: Dani Falls learned to tolerate her existence in suburban Florida with her brash and seemingly unloving mother by embracing the philosophy Why care? It will only hurt. So when her mother is killed in a sudden and violent manner, Dani goes into an even deeper protection mode, total numbness. It’s the only way she can go on. But when Dani chooses The Stranger by Albert Camus as summer reading for school, it feels like fate. The main character’s alienation after his mother’s death mirrors her own. Dani’s life is thrown into further turmoil when she is sent to New Mexico to live with an aunt she never knew she had. The awkwardness between them is palpable. To escape, Dani takes long walks in the merciless heat. One day, she meets Paulo, who understands how much Dani is hurting. Although she is hesitant at first, a mutual trust and affection develop between Dani and Paulo, and Dani begins to heal. And as she and her aunt begin to connect, Dani learns about her mother’s past. Forgiving isn’t easy, but maybe it’s the only way to move forward. MY TWO CENTS: Dani Falls has a complicated and fractured relationship with her mother, Ruby Falls, who in Dani’s eyes is a not good mother in any regard. In fact, for dozens of pages, Dani often explicitly states that she hates her mother because she has always felt unappreciated, unloved, and ignored by her. By Dani’s account, we are led to believe that Ruby is objectively a selfish and neglectful mother. It is all Dani has known, and because she is the narrator, we are inclined to empathize with her side of the story. Dani believes she knows who her mother really is deep inside, that her ugliest aspects are the real her. But what Dani doesn’t know is that she really doesn’t know her mother at all. In the Author’s Note for Because Of The Sun, Jenny Torres Sanchez states that Albert Camus’s The Stranger inspired her novel. In The Stranger, Meursault’s mother dies early on in the story, and his emotionless and detached reaction made Torres Sanchez curious about his mother. Was she a terrible person or simply an imperfect individual? Like Mersault’s mother, Dani’s mother also dies early in the novel, tragically. She is inexplicably attacked by a black bear in her own backyard. The grisly story shocks the neighborhood, but readers see the aftermath play out through Dani’s perspective, which is bleak, detached, and emotionless. The way Dani deals with the trauma of her mother’s death is fascinating, though often hard to read, and readers may wonder if Dani’s cold reaction is warranted. But people cope with tragedy differently, and we don’t know all the details of her and her mother’s relationship. So it’s best to read on without passing any judgment on Dani. As she has no family left in Florida, Dani must move to New Mexico to live with an aunt, Shelly, she never knew existed. This is only one of many secrets Dani’s mother kept from her. For weeks, Dani lives with her aunt, but seldom leaves the house and rarely speaks more than two words at a time. This part of the novel is slow and contemplative, when Dani is at her lowest. Hours, days, and weeks blur into each other and become indistinguishable. The language and mood of the book during these pages are bleak and stifling. One wonders if Dani will ever find light in her life again. But one day, Dani wanders out into the scorching New Mexico sun and walks for miles, until she comes across a gas station. There, she meets Paulo, a young Mexican-American boy who aspires to be a filmmaker. It is after she meets Paulo and his grandmother, Doña Marcela, that the potential for hope and light enters Dani’s life. It is important to note that Dani is not Latina, a fact that is not explicitly stated until she meets Latinx people at her new school, who make references to her whiteness almost immediately. This happens about a third of the way through the novel, after which Latinxs play a regular and important role in the story. It is Paulo, and especially Doña Marcela, who provide moral and emotional support for Dani when she needs it most. Paulo is ambitious and kind; Doña Marcela is brave and loving. Together, they provide Dani with examples of what healthy familial relationships can look like, and show her that people are allowed to care for and love each other. That Latinx characters are the most positive influence on the novel’s protagonist is worth noting. I certainly appreciated it. Eventually, Dani connects with her aunt Shelly, who reveals the tragic secrets of her family’s past. Dani then realizes that she never really knew her mother and must face the fact that she hated a woman she only knew on a surface level. This understandably makes Dani resent Ruby even more, for shutting her daughter out all her life. But her budding romance with Paulo, the strong role model she found in Doña Marcela, and her growing bond with Shelly — these relationships teach Dani that there are things to appreciate in the world. Perhaps the trauma of her mother’s death and their lack of closure will always follow her, but Dani has met people who can help her move forward with her life, even if progress is slow. Though it’s not without flaws, there’s much to like and commend in Because Of The Sun. Jenny Torres Sanchez writes Dani’s story in haunting, beautiful prose that creates an atmosphere that aptly approximates Dani’s bleakest moods and lowest moments. There are several dreamlike sequences in the novel reminiscent of magical realism that stand out as the strongest parts of the story. 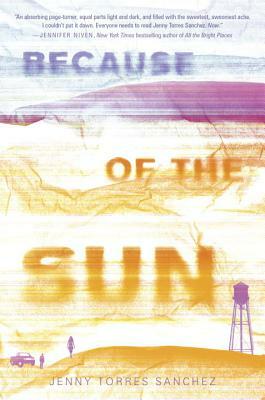 Reading Because Of The Sun is a singular and somber experience that will resonate with teens who understand the complexities of love and loss. 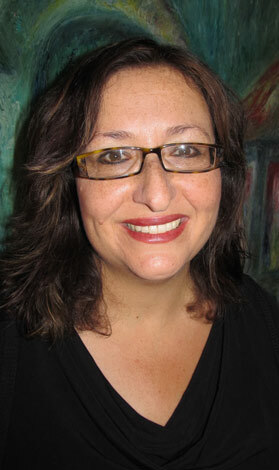 ABOUT THE AUTHOR: Jenny Torres Sanchez is a full-time writer and former English teacher. She was born in Brooklyn, New York, but has lived on the border of two worlds her whole life. She lives in Orlando, Florida, with her husband and children. 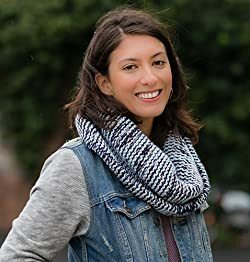 She is the author of The Downside of Being Charlie, Death, Dickinson, and the Demented Life of Frenchie Garcia, and Because of the Sun. To find Because of the Sun, check your local public library, your local bookstore, or IndieBound. Also, check out Goodreads, Amazon, and Barnes & Noble. Nazahet Hernandez is a book blogger who cares passionately about diversity in literature and promoting books written by and about people of color and other marginalized voices. He loves creating reading lists, recommending diverse books to people, and tweeting while at work. He lives in the wonderfully vibrant city of Austin, TX. You may contact him on Twitter (@_diversebooks) or through his blog ReadDiverseBooks.com.